Vegan, gluten-friendly, cholesterol free - It’s a cereal, a snack, and a topping. It isn’t just traditional. The flavor is unbelievably complex because of the Indian flavors in the Spice Mix. The granola consists of oats covered in the Secret Spice Mix combined with coconut shavings and dried cranberries. 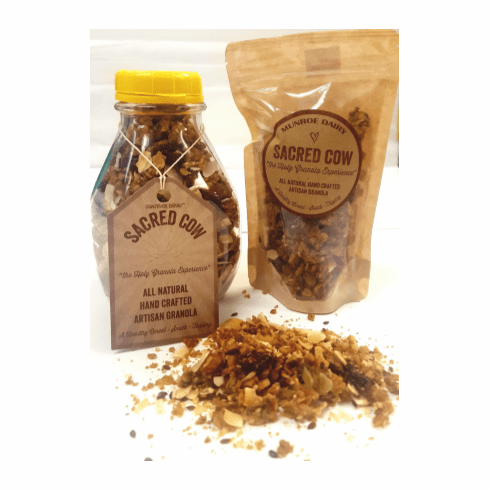 Sacred Cow is the answer to every granola lovers call.